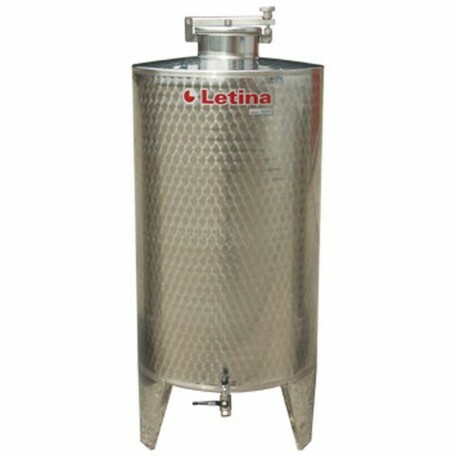 Tank for storing liquids 50l is used for storing wine, brandy, juice, oils… Tank for storing liquids 50l is made from inox AISI304/BA and it is circular polished. Tank for storing liquids 50l has upper door with diameter of 200m and has a pipe on a clean outlet. Available add-ons: latch for honey.